This book offers a theoretically informed analysis of how coherently the European Union fights terrorism in the post-9/11 era. Few studies have looked at how the European Union has transformed into a relevant international anti-terrorist actor. Yet, as a reaction to the terrorist attacks in New York, Madrid and London, the European Union has become increasingly active in the field of counter-terrorism. It has acted to coordinate member states’ policies, to harmonise national legislation, and even to support operational work conducted by national authorities. The EU’s reaction to the threat of transnational terrorism has been complex and multidimensional, ranging from the exchange of information between police and intelligence agencies to judicial cooperation, and from infrastructure protection to the fight against terrorist recruitment and financing. 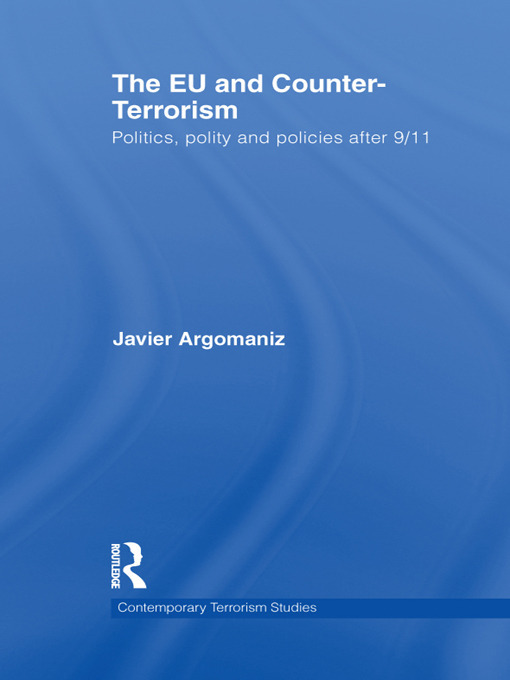 This book offers a comprehensive empirical account of the polity, policy and politics of EU counter-terrorism, based on an analysis of academic literature, official documents, and about fifty interviews with policy-makers, experts and practitioners carried out at EU institutions (i.e. Commission, Council, Eurojust, Europol), Permanent Representations of the EU Member States and national capitals. This book will be of much interest to students of counter-terrorism, EU politics, security studies and IR in general. Javier Argomaniz is a member of the Centre for the Study of Terrorism and Political Violence (CSTPV) at the University of St Andrews. He has a Ph.D. in International Relations from the University of Nottingham.